Rich in flavor, Kikkoman katsu sauce is a classic accompaniment for Japanese-style breaded pork cutlets. Made with a specially-balanced blend of applesauce, onion, tomato paste, carrots, and traditionally brewed Kikkoman soy sauce, this katsu sauce is tangy, sweet, and savory! It is naturally low in calories and does not contain MSG. Perfect for breaded dishes with Japanese-style panko bread crumbs, katsu sauce also makes a popular dipping sauce for hearty recipes. Use it for pork chops, country-fried steak, and chicken cutlets. This rich sauce can even be used as a slightly sweeter alternative to steak sauce for meats. 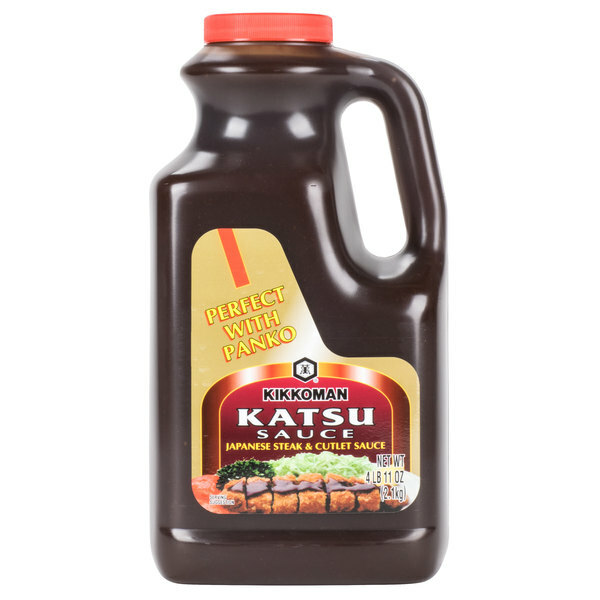 Perfect for a variety of popular dishes, this Kikkoman katsu sauce offers a consistent, great taste every time you use it! Kikkoman provides genuine flavor made from quality ingredients, so you can make authentic Asian-style meals or enhance mainstream American foods with new flavors. Plus, Kikkoman is a recognizable brand for your Asian-inspired restaurant, noodle restaurant, or cafe! 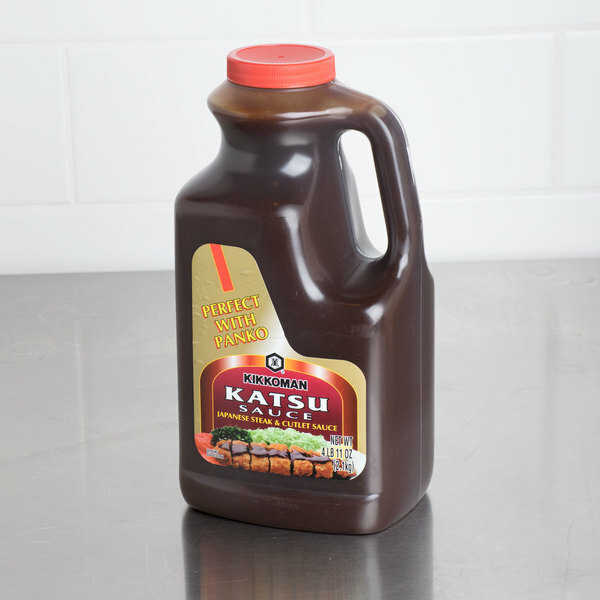 Easy to use, this katsu sauce will help you create a variety of mouthwatering Japanese-style specialties, and the 5 lb. container will keep your establishment in great supply. This is so good. It is an all in one sauce. It is somewhat like a tomato sauce mixed with a soy sauce. It is good on many things, cooked on them or as a dip. It is salty, tangy, and sweet. 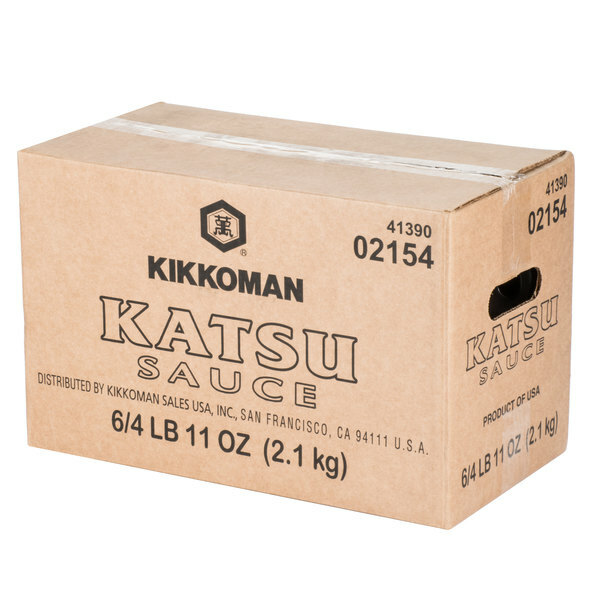 Being able to buy my Kikkoman Katsu sauce in bulk and have it delivered straight to my establishment is a Godsend. And even paying for shipping, the price is still completive and I can be sure of it arriving like clockwork, in 2 to 3 days. Great company1 Great service! Competitive prices!